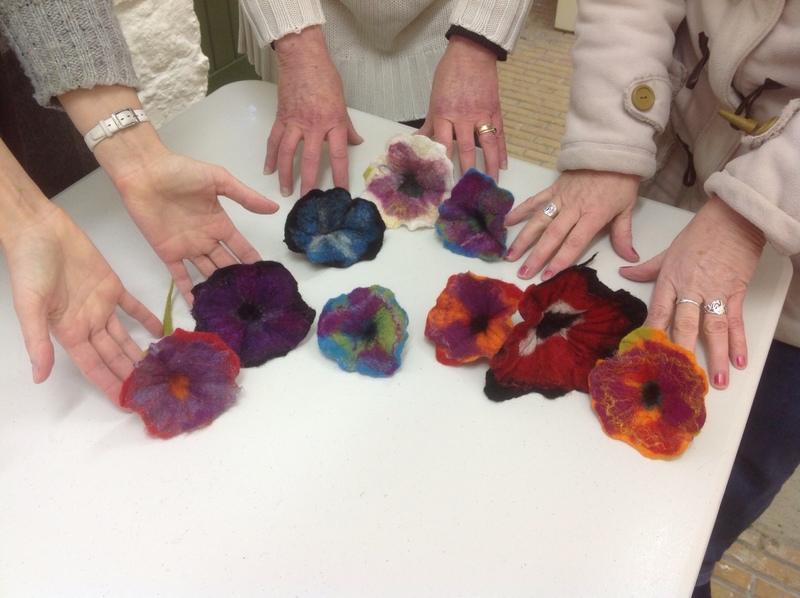 This entry was posted in Duckett's Grove, Felt, workshops and tagged Felt, felt class, felt classes, felt felting, felt felting workshop, felt flower, felt flower workshop, w, workshop, workshops, workshops with Nicola Brown by Nicola. Bookmark the permalink. Great afternoon Nicola, loved the class as usual, the snow made it all the better. Hi Jamie, that’s silk used as a surface embellishment! Can you give instructions on how to shape the flowers in this way? Will do a blog post on this shortly Irma, just need a couple of days to get organised!